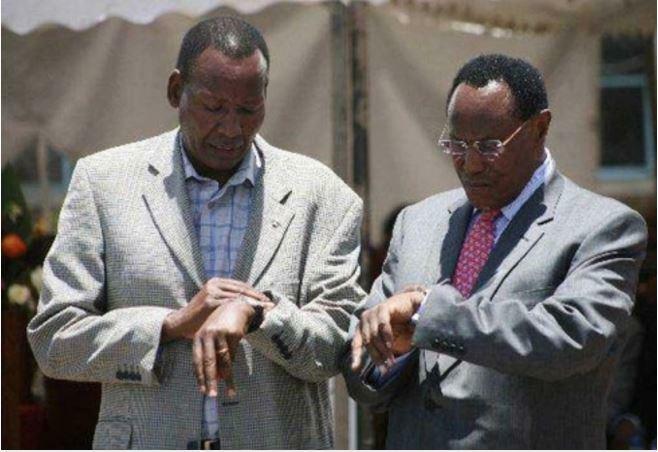 Monday August 6, 2018 - Self proclaimed National Resistance Movement (NRM) general, Miguna Miguna, has made a series of tweets claiming that it is President Uhuru Kenyatta who killed former Internal Security Minister, George Saitoti, and Interior and Coordination Cabinet Secretary, Joseph Ole Nkaissery. Revealing this on Sunday, Miguna who was deported to Canada for participating in the illegal swearing in of NASA leader, Raila Odinga, as the People’s President said Uhuru is a killer and he ordered the killing of Saitoti and Nkaissery. Miguna also urged Kenyans to shun away from the Jubilee administration and former Prime Minister Raila Odinga. Here is Miguna Miguna statement on the allegations. On June 10, 2012: a brand new @PoliceKE helicopter fell from the sky in a ball of fire and killed George Saitoti, Orwa Ojodeh and their companions.